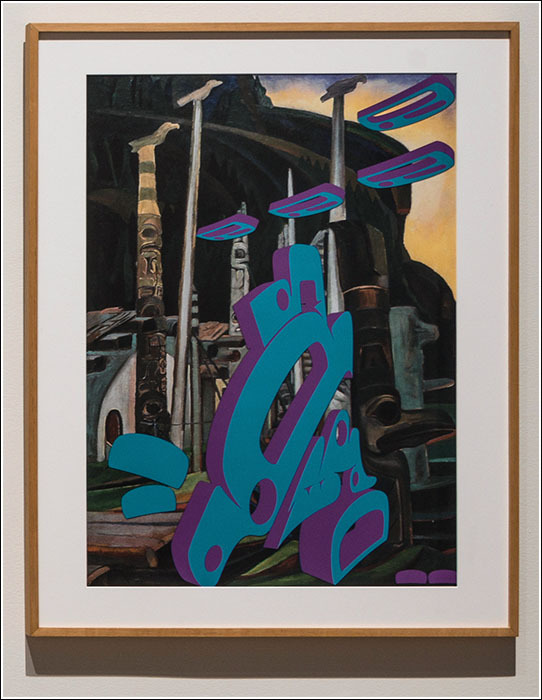 Sonny Assu, What a Great Spot for a Walmart!, digital intervention on an Emily Carr Painting, 2014. Mendel Art Gallery, 2015. Photograph: Troy Mamer.